It looks like 2018 is shaping up to be a great year of big-screen eye candy for science fiction fans. From a new entry in the Star Wars anthology films to movies based on favorite books and mangas, there's going to be something for just about everyone in 2018's slate of sci-fi films. While it is a little hard to predict how good a movie will be when trailers or even plot details aren't fully available yet, we can make some educated guesses on which ones will be worth your time. Here's a look at the sci-fi movies that we think will be the ones to watch for when they finally hit theaters in 2018. The upcoming Star Wars film about Han Solo has hit some bumps along the way, but we're confident that it will be one of the must-watch movies of the year. The standalone movie will follow a young Han Solo (played by Alden Ehrenreich) and his exploits before the events of Star Wars: A New Hope. The rest of the cast includes some familiar names, if not faces; Donald Glover (aka Childish Gambino) is slated to appear as a young Lando Calrissian, while Joonas Suotamo will take over the role of Chewbacca from Peter Mayhew for this installment. 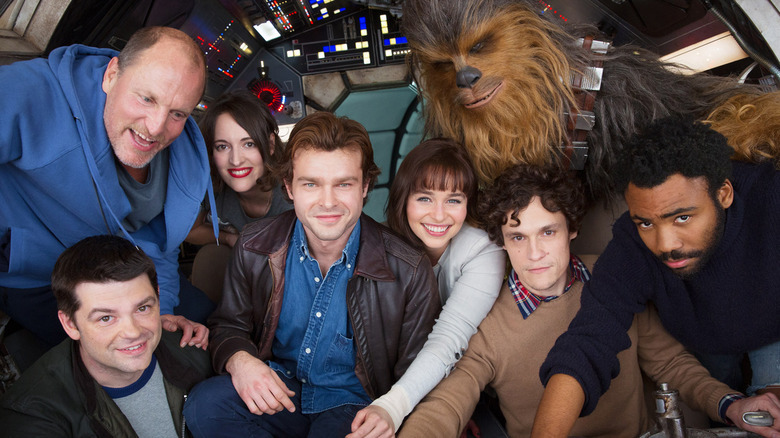 In addition to these established Star Wars characters, Woody Harrelson, Emilia Clarke, Thandie Newton, Ian Kenny, Warwick Davis, and Phoebe Waller-Bridge will all appear in supporting roles. While shooting was underway in early 2017, production was halted after Lucasfilm fired co-directors Phil Lord and Christopher Miller due to ongoing creative conflicts between the pair and both Lucasfilm executive Kathleen Kennedy and screenwriter Lawrence Kasdan. However, not all hope is lost — Lucasfilm hired the extremely competent Ron Howard as the new director to finish the principal photography and reshoots, which were completed in October 2017. Disney is still keeping details about Solo under wraps for now: aside from some leaked photos from the set, fans haven't seen any actual footage from the movie yet. While there has been much speculation that Disney will release a trailer during the Super Bowl on February 4, there's been no official word yet. Hopefully, the rumors are true — a trailer would give fans something to salivate over (and help alleviate their concerns) until Solo brings us back to a galaxy far, far away on May 25, 2018. Due to hit theaters on June 22, 2018, the newest installment in the Jurassic Park film franchise promises a return to its roots as well as a much darker tone along the lines of The Empire Strikes Back. While we don't have full plot details yet, here's what we know so far: Chris Pratt, Bryce Dallas Howard, and B. D. Wong will reprise their roles from Jurassic World, and Jeff Goldblum is back as the philosophical Dr. Ian Malcolm — his first return to the franchise since 1997's The Lost World. Malcolm's importance in this sequel is hinted at strongly in the film's tagline: "Life Finds a Way." Joining this returning cast are new faces, including Ted Levine, Rafe Spall, Toby Jones, Geraldine Chaplin, Daniella Pineda, and Justice Smith. The official trailer makes it clear that Fallen Kingdom focuses largely on the abandoned Isla Nublar, where the remaining dinosaurs — including the original Jurassic Park Tyrannosaurus Rex — are in grave danger from a volcanic eruption. As Claire and Owen try to save the creatures and locate his trained raptor Blue, they also uncover a conspiracy of epic proportions. Hints from those involved with the movie indicate that this plot may involve rival labs hatching their own dinosaurs off the island and the consequences of their greed. With a promise that this sequel will be "more suspenseful and scary" than previous installments, and with horror director J.A. Bayona at the helm, we're sure that Jurassic World: Fallen Kingdom will be a must-watch for 2018. 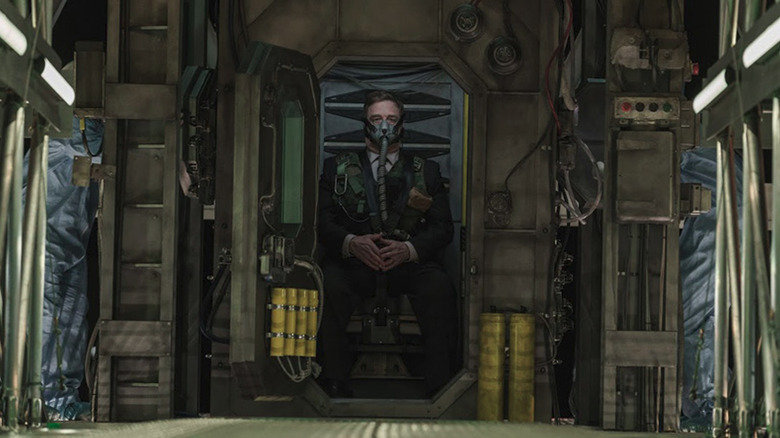 Unlike many of the other science fiction films on our list, Captive State isn't based on a best-selling novel or manga. Instead, it is a feature-film adaptation of a screenplay written by Rupert Wyatt and his wife Erica Beeney — a screenplay that spurred a bidding war for the rights. Wyatt will also direct the movie, marking his return to big-screen directing after spending 2016 working on the pilot episode for Fox's horror television series The Exorcist. The film will star John Goodman, Vera Farmiga, Ashton Sanders, Jonathan Majors, Kevin Dunn, and Machine Gun Kelly, among others. At this point, we know very little about the plot of the film beyond the official description: "Set in a Chicago neighborhood nearly a decade after an occupation by an extraterrestrial force, Captive State explores the lives on both sides of the conflict — the collaborators and dissidents." While we don't know yet what side of that conflict John Goodman's character will be on, a set photo featuring him was released in May 2017, showing Goodman sitting in some sort of bunker-like chamber, wearing a respirator and military load-out vest on top of a tailored suit. The fact alone that this is an alien invasion movie set years after the actual invasion makes Captive State an exciting new sci-fi feature to watch for. You can catch it in theaters on August 17, 2018. Slated for an August 24 release, Replicas is an upcoming science fiction thriller from director Jeffrey Nachmanoff (The Day After Tomorrow, The Tourist). Although Replicas isn't due to hit theaters until August, the film premiered at the Toronto International Film Festival in September 2017 — and a full trailer for the movie is available already. Replicas stars Keanu Reeves as Will Foster, a synthetic biologist who uses a cutting edge (and highly illegal) experimental procedure to bring his family back to "life" after they're killed in a car accident. In the process, Foster puts himself and his family at risk by drawing the attention of a special police force and a government-controlled laboratory. Alice Eve (Star Trek Into Darkness) plays Will's wife Mona, with Thomas Middleditch, Emily Alyn Lind, John Ortiz, Emjay Anthony, and Nyasha Hatendi rounding out the main supporting roles. The Darkest Minds is an upcoming science fiction/superpowers movie based on the novel of the same name by Alexandra Bracken. It's being directed by Annie Award-winning Kung Fu Panda 2 director Jennifer Yuh Nelson, who will be making her live-action directorial debut with The Darkest Minds. Years after a disease sweeps America, killing nearly all of the children, the surviving kids develop uncontrollable superhuman abilities and are confined to internment camps around the nation. 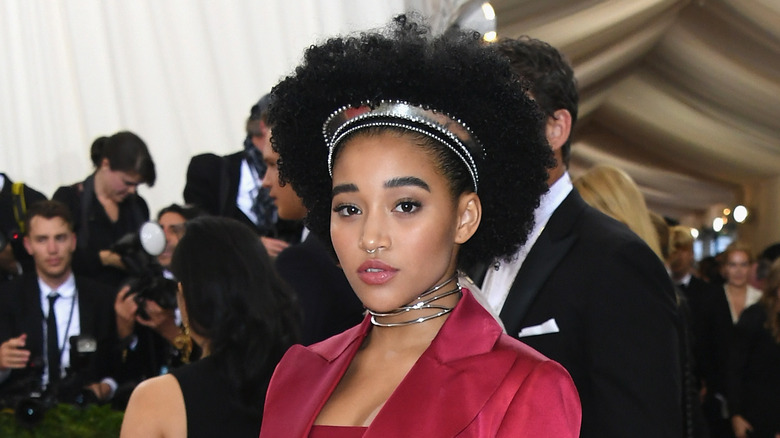 Amandla Stenberg — who you may recognize as "Rue" from The Hunger Games — will star as Ruby, a girl who decides to break out of the camp and join a group of rebel teens in a plot to bring down the authoritarian government which wants them kept under lock and key. Joining Stenberg are Harris Dickinson, Mandy Moore, Patrick Gibson, Skylan Brooks, and Gwendoline Christie, who will play a brutal bounty hunter tasked with tracking down the missing teens. Being based on a young-adult novel, the live-action adaptation of The Darkest Minds will likely be a PG-13 film that will appeal to teens and families in addition to adult fans of the books and dystopian sci-fi in general. It's scheduled to premiere on September 14, 2018. While The Predator is actually the fourth film in the main series of Predator movies, chronologically, it is the third movie—set in 2018, between the events of 1990's Predator 2 and and 2010's Predators. We don't know much about the plot yet, but some tantalizing details have allowed us to read between the lines. 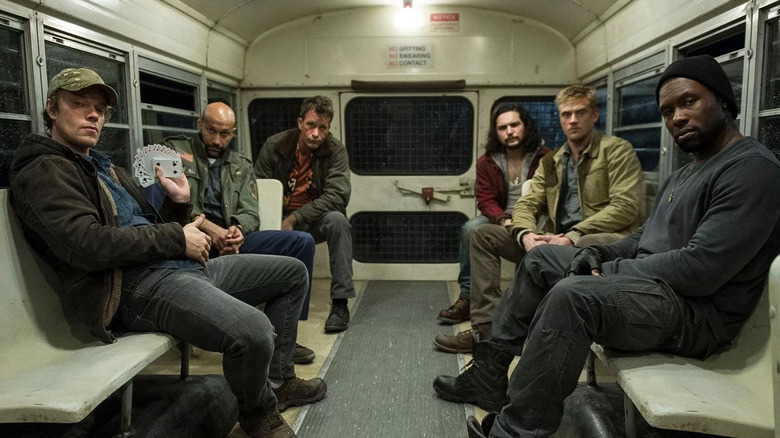 It will star Boyd Holbrook as Quinn McKenna — an ex-Marine who discovers that the Predators exist, and recruits a team to help him hunt them down. Rounding out his team include castmates Olivia Munn, Trevante Rhodes, Keegan Michael-Key, Sterling K. Brown, Alfie Allen, and child actor Jacob Tremblay, who will play Quinn's son. The other supporting cast members include Yvonne Strahovski and Edward James Olmos, as well as Jake Busey — he will make an appearance as the son of "Peter Keyes" from Predator 2 — a character which was played by Jake's father, Gary Busey. Filming wrapped in June 2017, and the movie is scheduled to premiere August 3rd, 2018. Shane Black (who played "Hawkins" in the original Predator) has returned to the franchise — this time as the director. In an interview with Collider, Trevante Rhodes revealed that he "can't wait" for people to see The Predator, and called it "ha-ha hard R" — referring both to the violent traditions of the Predator franchise and director/writer Shane Black's legendary sense of humor. Black apparently wants to keep the spirit of the original film alive with this sequel, and has made it clear that it won't be rated PG-13. Cast member Sterling K. Brown has also dropped hints that The Predator will have many "wicked" funny moments, much like the original film. If Black can truly capture the nostalgia of Predator while keeping the story fresh, The Predator should be a 2018 sci-fi blockbuster. Based on the novel of the same name by Philip Reeve, Mortal Engines will take us into a futuristic steampunk world following the ravages of a "Sixty Minute War." In this future, cities are now mobile, moving around the world propelled by gigantic engines and wheels. Along the way, the cities cannibalize smaller towns to replenish their own resources. We've gotten a glimpse of this horrifying concept brought to life for the big screen in the first Mortal Engines teaser trailer, which was released in December 2017. Long-time Peter Jackson storyboard artist and collaborator Christian Rivers will make his feature-film directorial debut with Mortal Engines, while Jackson will produce. The screenplay was also written by Jackson, along with his frequent writing partners Philippa Boyens and Fran Walsh. Several other crew members from The Lord of the Rings and The Hobbit films are also on board for Mortal Engines, including Zane Weiner and Amanda Walker. Starring Robert Sheehan, Hera Hilmar, Ronan Raftery, and Hugo Weaving, science fiction fans have a lot to look forward to on December 14, 2018 — Mortal Engines should be a visual extravaganza with a compelling story that will blow viewers away. ollowing in the footsteps of Oldboy and Ghost in the Shell, Alita: Battle Angel will bring us the latest science fiction movie based on a manga when it hits theaters on July 20, 2018. The movie is directed by famed director Robert Rodriguez, who has brought us such gems as El Mariachi, Desperado, From Dusk til Dawn, Sin City, Four Rooms, and Spy Kids. Starring as the title character is Rosa Salazar, with a supporting cast including Christoph Waltz, Mahershala Ali, Ed Skrein, Michelle Rodriguez, Keean Johnson, and Jennifer Connelly, among others. Plot details have been scarce so far, but we do know that it will focus primarily on the plot of the manga's first four volumes, particularly on the futuristic sport of "motorball." Along with revealing a unique and stylized look for Alita in the film, the first full trailer also teased a battle between the cyborg heroine and Makaku — her first major adversary from the manga. The film has been a passion project of producer James Cameron, who became a fan of Yukito Kishiro's original manga nearly two decades ago. 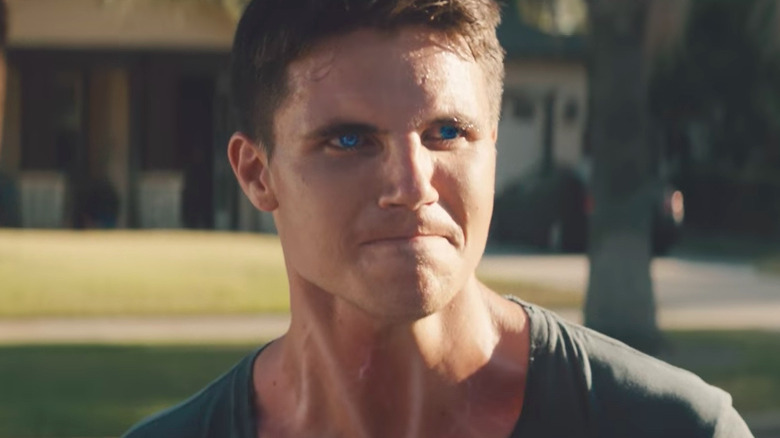 He's been trying to get the film made ever since then, although he's had to delay production along the way in order to finish his Avatar films and develop the additional technology needed to do Alita correctly. With Cameron and Rodriguez leading the way, Alita: Battle Angel is sure to please science fiction fans, action fans, and manga fans alike.